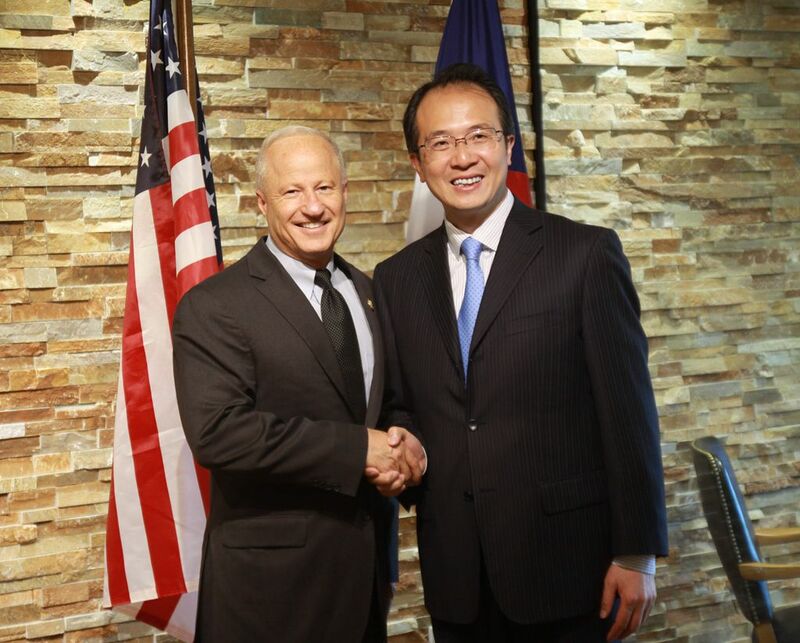 On September 2, Consul General Hong Lei had a meeting with Congressman Mike Coffman in Aurora, Colorado. Consul General Hong Lei said that exchanges and cooperation between China and Colorado have been expanding in a good momentum and yielded fruitful results in recent years. Over the past 15 years, investment by Chinese companies in Colorado has reached 500 million dollars, creating over 600 local jobs. In 2015, Colorado’s trade with China reached 3.1 billion dollars and China has become the third largest export market for Colorado. More than 3000 Chinese students are studying in Colorado, becoming the new highlight of mutual people-to-people exchanges between us. The relations between China and Colorado reflect the new trend of Sino-U.S. relations. The common interests of our two nations are expanding and the importance of our bilateral relations are ever growing, not only for the two countries but also for the world. Consul General Hong Lei said Congressman Coffman has spent a lot of efforts in supporting local Chinese community and Chinese students and promoting the Sino-U.S. cultural exchanges. He hopes Congressman Coffman would continue to support Colorado's exchanges and cooperation with China and Sino-U.S. relations as always. Recalling happily his trip to China back in 2011, Congressman Coffman said that he was happy to see exchanges and cooperation between Colorado and China have born fruitful and impressive results. Since his mother was born and lived in China for a long time, he has always had friendly feelings to the Chinese people. Congressman agreed that the U.S.-China relations are very important, and he hopes the two countries will continue to strengthen exchanges and dialogue in various fields and enhance coordination in international affairs.